Dubai, UAE: The Volunteer Interaction Program of Al Noor Training Centre for Persons with Disabilities is now open for registration and members of the community and corporate teams are encouraged to volunteer under the program. Individual volunteers and volunteers from corporates who are committed to make a difference in the lives of children with special needs and can give their time to support the Center in training and caring for children to realize their potential and integrate them into the wider community are welcome to enroll in the program. At present, the Centre needs support in the areas of classroom assistance, administration, community events and projects. Volunteers get first-hand experience on handling children with special needs and it is one way of reaching out to the community. “Volunteering at Al Noor is a privilege and a great opportunity for me; to know me. Serving here has brought so many benefits and blessings to my life. I am happier with myself and the people around me because I now really appreciate life. Above all, the kids in Al Noor, especially those in primary yellow fill me with emotions that words can’t describe. I am happy with the organization as a whole. Thank you for all the work you do,” expressed Victoria Yakiah, one of the volunteers. Individuals who are at least 16 years of age and above and legal residents of the UAE can register as volunteer and he or she can decide the amount of time and days can dedicate to volunteering at the Centre – This is their decision. The Centre has allocated 2 corporate days every month. Individual volunteers as well as volunteers from corporate houses can participate in groups of 15 to 25. These corporate days are held at the Centre to spread awareness about the Centre and also involves participation and interaction with children along with volunteering opportunity. Since corporate days are planned and structured, advance booking is necessary. IBIS Styles Hotels Dubai was one of the companies that volunteered under the program. “We believe in contributing towards our community and Al Noor is the best place to volunteer time and skill,” according to Imran Maken, Assistant Learning and Development Manager. The hotel also provided internship to one of the children from the Centre who was assigned to the Food & Beverage production of the hotel. “We found Mr Ganpath Narayan very well behaved and well-trained student and we hope that whatever skills he learnt from our hotel will be put into use as he integrates into the community,” he added. Other corporate volunteers may extend support in administration, facilities and maintenance, sustainability and community relations departments (SCR) or help in events organized annually by the Centre. Whether volunteers come from companies that have supported the Centre in the past or a new supporter, the Centre will evaluate the skills and interest of the volunteers and will assign them to areas that would need their support the most. Al Noor Training Centre for Persons with Disabilities is a non-profit organization which falls under the Ministry of Social Affairs. 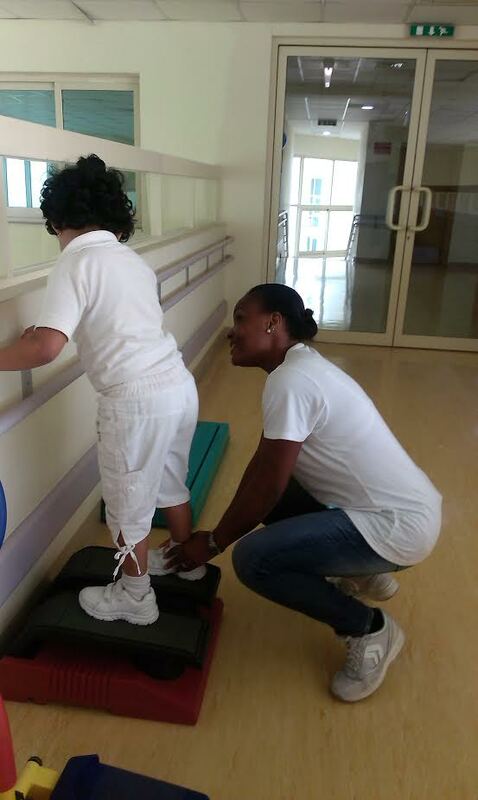 Established in 1981, Al Noor has been providing high quality of professional training to the special needs community in Dubai for over 30 years. Starting with only 8 children the Centre has since expanded to facilitate and enrich the lives of up to 300 children and young people from different nationalities who have various physical and cognitive challenges such as Down syndrome, Cerebral Palsy and Autism. The new all-purpose facility from which Al Noor now operates opened its doors in April 2007 and was generously donated by His Highness Sheikh Mohammad Bin Rashid Al Maktoum, Vice President and Prime Minister of the U.A.E. and Ruler of Dubai and was made possible through the benefaction of HRH Princess Haya Bent Al Hussein. Al Noor follows a holistic programmer addressing all domains of development through a Trans disciplinary assessment and intervention approach, all delivered at an ISO certified standard. In addition to teaching, the level of development is enhanced with Physical Therapy, Occupational Therapy, Speech and Language Therapy, Psychological services, Sports and Music. Al Noor also prides itself on an exceptionally effective work placement unit that trains its students with a capability for open employment, integrating them into mainstream society post education. A particular star of the Al Noor’s fundraising achievements is the Center’s very own Branded Retail Outlet – Smiles ‘n’ Stuff which helps to raise awareness and funds for the training centre. It is the only one of its kind in the GCC where all the products are handcrafted by children and young people with special needs enrolled at Al Noor. The goal of Al Noor’s vocational training unit is to make children skilled and productive members of the community and training is offered in Wood design technology, printing technology, fashion technology and Bakery units.